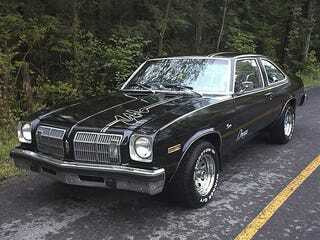 This is a 1975 Oldsmobile Omega. Nice car. Good muscle car lines. The grille bends over at the top. This is the 2013 BMW Pininfarina Gran Lusso Coupe concept. Nice car. Good grand tourer lines. The grille bends over at the top. BMW grilles have evolved from that on the beautiful E28 5-series and have started to flair at the nostrils and graduallyintroduce more and more of a bend at the top until the extreme bend we see on the Gran Lusso. At least now we can see where BMW got their inspiration from. When did Jalopnik stop covering cars?